In 2014 let’s all do our part to make this world a better place; put an end to disastrous makeup choices. t Do you think you need a similar tune-up? Consider the following. 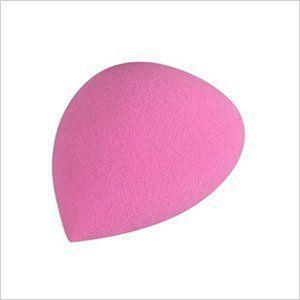 t Try the new egg-shaped makeup sponges that help blend into every corner and crevice (Amazon, $13). t Also, add a few drops of skin luminizer to your foundation to give your skin a dewy, youthful look, such as Josie Maran Argan Illuminizer (Sephora, $28). t An added bonus is that the luminizer minimizes the look of any fine lines or uneven skin tones by reflecting light. Are you avoiding eyeliner because you can’t draw a straight line? tDid you also fail art in kindergarten because you couldn’t color between the lines? Try wearing blendable eyeliner instead of a liquid one that requires a steady hand. Apply and then gently smudge. It’s subtle and widens your eyes to make you appear more alert and youthful. It’s safer than Botox, anyway. t Try this great Pur Minerals eyeliner from Kohl’s with attached smudger on the other end (Kohls.com, $17). t That’s so very ’80s or Jersey Shore. (Either way it’s a bad idea.) Applying blush just to the round apples of your cheeks may make you look like Bozo the clown instead of Cara the model. Brushing blush on too low below your cheekbones will probably make you appear jowly. (The worst!) Start on your cheek below the center of your eye and then sweep upward along your cheekbone. Choose your blush shade well. Too blue a tone will come across as a bruise, so stay with soft, sheer tones that just add a glow. Giorgio Armani Sheer Blush is terrific (Nordstrom.com, $44). t With 2014 signaling the end of U.S. involvement in Afghanistan, perhaps we could promise to also put an end to disastrous makeup choices. Not nearly as serious an aspiration, but we all have to do our part to make this world a better place.